Interview with the Ramblin Jesters. University Park Elementary School was lucky to have an English rugby team, The Ramblin’ Jesters, come play and educate the student body about this special sport. 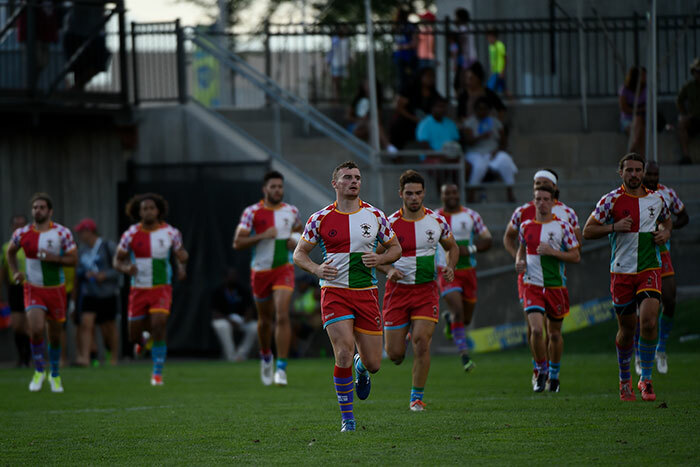 They were in town because of an exciting tournament called the RugbyTown Sevens that was held at Infinity Park. They were competing against teams such as Fiji, who won the 2016 Summer Olympics in Rio. On Friday, Aug. 25, three of the team’s players and their coach came to the school’s field. Many of the students participated in this once in a lifetime activity. They showed the kids how to score a try—which is a touchdown in rugby—and how to catch the rugby ball. Read the complete article and interview on denvermetromedia.com written by Dalia Gutierrez.